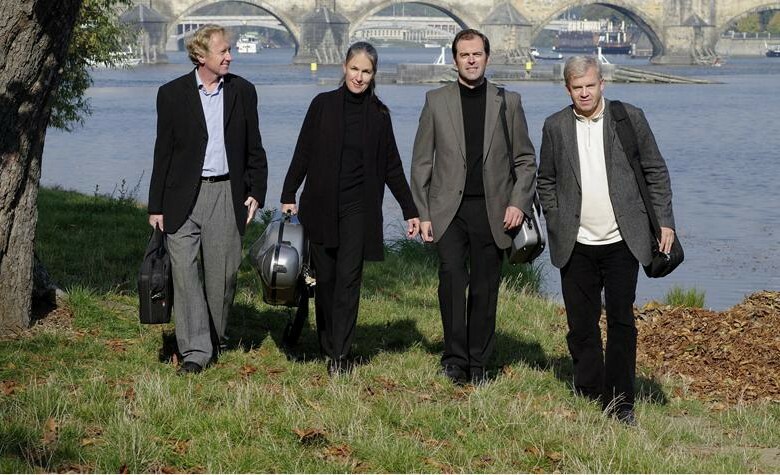 The celebrated Czech quartet perform Janacek’s highly personal and expressive first quartet composed in 1923 and inspired by Tolstoy’s controversial Novella The Kreutzer Sonata’. They are joined by the American-Russian pianist Olga Vinokur in the quintet by Shostakovich – composed in the midst of the Second World War – and Schumann’s ever-popular quintet from 1842, a piano chamber work famously not premiered by his wife Clara, because she was unwell, but by his friend Mendelssohn, who stepped in at the last moment. Formed in September 2012, the Vasara Quartet is made up of students in their second and third year of undergraduate study at the Royal College of Music in London. In March 2013, the Vasara Quartet was selected to perform in the Wigmore Hall and shortly after they received joint first prize in the Britten Intercollegiate String Quartet Competition. Other highlights include performing for HRH The Prince of Wales as part of the President’s Visit at the Royal College of Music and giving recitals at the Royal Albert Hall, Kings Place, Draper’s Hall, Conway Hall, St Martin-in-the-Fields and Cadogan Hall. 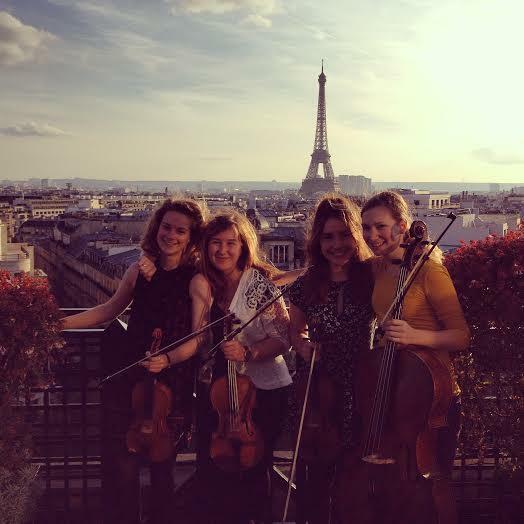 Most recently, the quartet performed at the residence of the British Ambassador in Paris. They receive regular tuition from Mark Messenger along with other tutors at the Royal College of Music. They have attended the National Youth String Quartet Weekend three years running where they had intensive coaching from professors including Nicholas Jones, Pavel Fischer, Thomas Riebl and Christoph Richter.